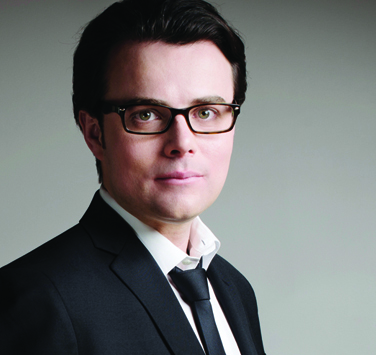 Martin MacDonald is one of Canada’s most outstanding young conductors. Winner of the 2013 Heinz Unger Award for Orchestral Conducting and the 2010 Jean-Marie Beaudet Award in Orchestral Conducting, Martin currently serves as Symphony Nova Scotia’s Associate Conductor, after three celebrated years as Resident Conductor (2008-2011). Most recently, Martin has worked with the orchestras of the National Arts Centre, Edmonton, Hamilton Philharmonic, London, Windsor, Thunder Bay, Sudbury, Kamloops, Newfoundland, and Prince George; Orchestra Toronto; Nova Sinfonia; Dalhousie Symphony Orchestra; Minnesota Ballet; Atlantic Ballet Theatre of Canada; and the Scotia Festival of Music’s Chamber Music Series. Prior to his Symphony Nova Scotia appointments, Martin served as Associate Conductor of the National Academy Orchestra of Canada (2006-2008). Additionally, he’s worked with the National Arts Centre Orchestra, Winnipeg Symphony Orchestra, Orchestra I Pomeriggi Musicali Milan, and the Akademisches Orchester Zurich in prestigious conducting masterclasses; competed in the 2008 IX Cadaques Orchestra International Conducting Competition in Barcelona; and studied at The Pierre Monteux School. Martin completed his Master’s degree in Orchestral Conducting at McGill University where he assisted the orchestra and opera. He also received his Bachelor’s degree in Cello at Memorial University. Martin has studied conducting with Bernhard Gueller, Boris Brott, Alexis Hauser, Kenneth Kiesler, Gustav Meier, Jorma Panula, Johannes Schlaefli, and Michael Jinbo. Born in Cape Breton, Martin is the youngest of twelve and his training began at age six. He is an alumnus of both the Nova Scotia and Newfoundland youth orchestras, and the Newfoundland Symphony Orchestra (1997-2004). Martin has a diverse musical background with a strong Celtic music tradition – he has performed extensively with his family throughout Europe and North America. Martin’s conducting activities have been generously supported by the Canada Council for the Arts.